Charles Francis Daeges was born May 9, 1931, in Portsmouth, Iowa to William and Catherine Riley Daeges. 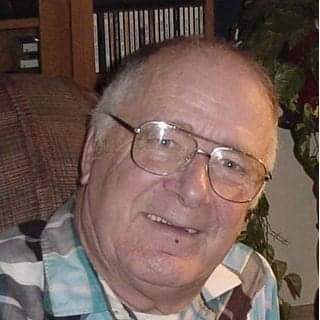 His wife, brother John and his wife Jean, were with him when he passed to his next life on January 19, 2019 from pancreatic cancer. He moved to Washington State in his early years and then moved to Sheridan, Ore. where he graduated from Sheridan High School in 1950. He served with the U.S. Air Force from January 1951 to December 1954. He married Sandra Lee Daeges on June 11, 1963, at Santa Maria, Calif., and made their home in Lompoc, Calif. for 28 years. He retired from Lockheed Missiles and Space Corporation at Vandenberg AFB, California in May 1990 after 33 years. He was an electrical technician and vehicle planning test coordinator. Hunting and fishing was what brought them to Idaho. They moved to their present home in Stites in May 1990. He was a member the Lompoc Elks Lodge #2274 for 25 years. He was also a member of the Rocky Mountain Elk Foundation, Central Idaho Bowling Association and was a life member of the National Rifle Association. His hobby was making small items out of wood and doing scroll work with a saw. He sold his work at local venues. One of his passions was bowling with his wife for the past 15 years He is survived by his wife Sandie, two children Darrell Daeges (Stephanie) of Navarre, Fla., two grandchildren, Reece and Ryan Daeges, and a daughter, Sherry Daeges of Kamiah. Also surviving him are sisters Helen Sandbothe of Gresham, Ore.; Mary Wandler of Scappoose, Ore.; brother John Daeges (Jean) of McMinnville, Ore.; Elizabeth Daeges of Clackamas, Ore.; and Margaret Malone of Bellingham, Wash. Preceding him in death were brother Jim Daeges, his twin sister Charlotte Mattis, sister Barbara Andre, and brothers-in-law Jim Andre and Ralph Wandler. Funeral services will be held in McMinnville at St. James Catholic Church. A memorial service will be held locally in the near future at a time and date to be determined. In lieu of flowers, memorial contributions may be made to ICARE, c/o Dee Crane, 4088 Canyon Creek Road, Orofino, ID 83544. This is a local organization that helps local people with cancer in a monetary way.